Palestinian Authority President Mahmoud Abbas said on Tuesday that he is willing to meet Prime Minister Binyamin Netanyahu to explore a renewal of peace talks when U.S. President Donald Trump comes to the region later this month. Abbas said that “we are looking forward to his visit soon to Beit Lechem,” probably May 22. 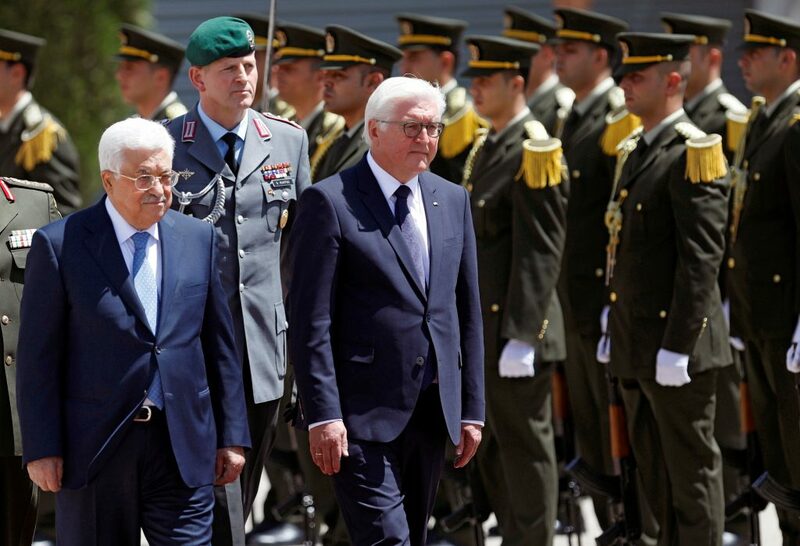 “We told him that we were ready to collaborate with him and meet the Israeli prime minister under his auspices to build peace,” Abbas told reporters while meeting German President Frank-Walter Steinmeier in Ramallah. The German president said that it’s “truly urgent” to start moving toward a two-state solution for the Israeli-Palestinian conflict.